A hot body pressed against mine is forcing me to lean into the dirt splattered van window, and the humid night air is crushing my lungs and coxing every last drop of hydration out through my pores. 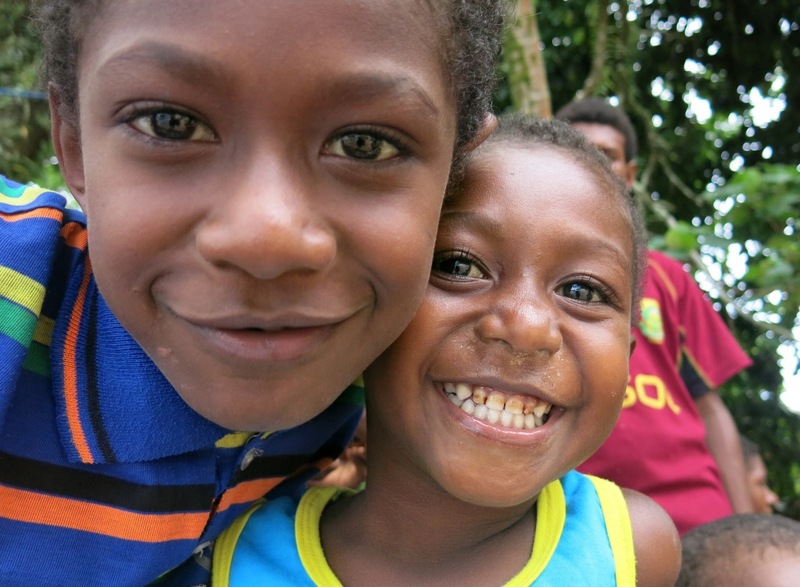 My shirt is soaked through with sweat, but I’m not embarrassed because this is Papua New Guinea (PNG), a country where the average citizen chews betel nut until their teeth rot out of their head in an orange jack-o-lantern haze. Appearances take on a different meaning here. 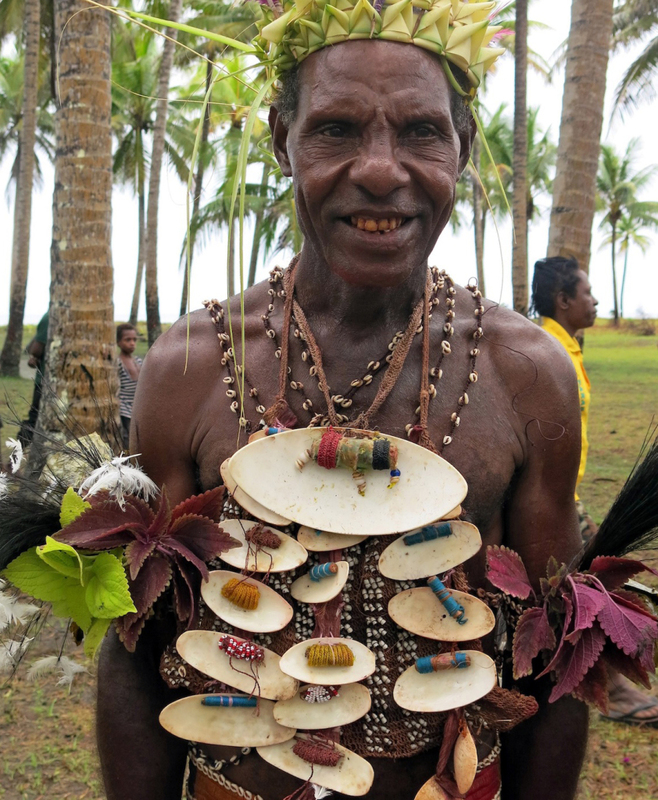 Welcoming us to PNG were many performers like this man flashing his betel nut stained smile. I am on my way to a fire dance ceremony during the ship’s first stop into the township of Rabaul in East New Britain, PNG. The procession of vans carrying all the ship’s company drives deep into the velvet dark night and all around our fleet of vehicles insects and geckos chirp a stream of wonderful noises, as cicadas beat out steady staccato rhythms. 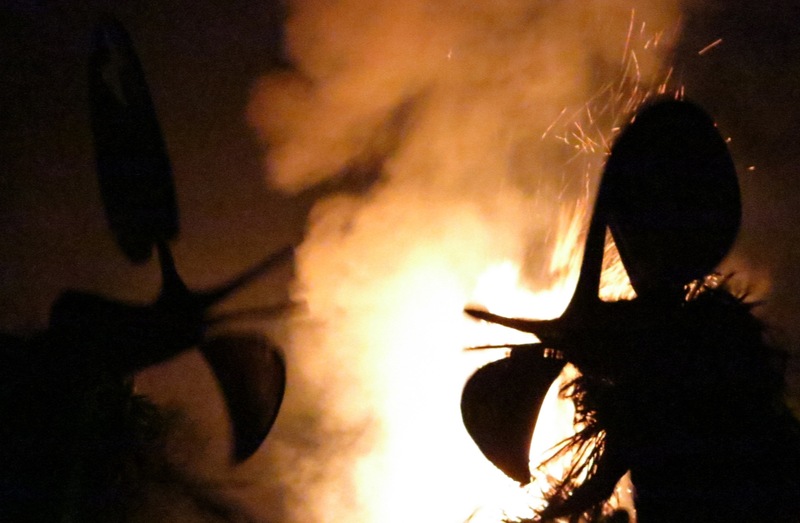 The adventure peaks in watching the Baining men dance in massive costumed masks, their bare feet shuffling over burning brush and leaping into the fire, while tall wooden posts drum to accompany wailing voices like a repetitive Native American chant. “Welcome to deep, dark Papua New Guinea,” says a voice in my head, and after this outrageous introduction, PNG only gets better. 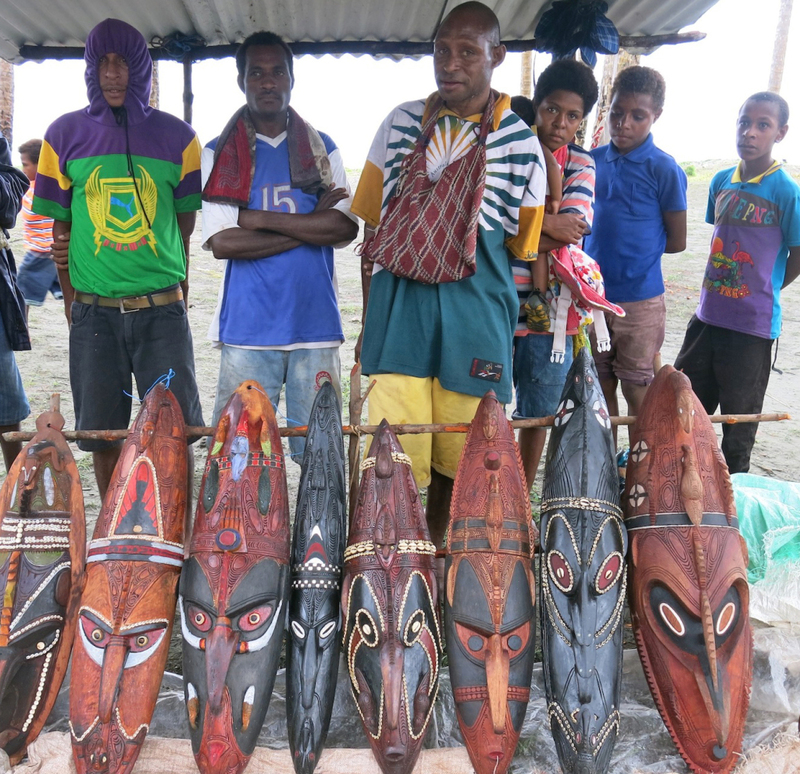 The magnetism of PNG is such that in hindsight after 10 days of cruising through the volcanic landscape, isolated villages, verdant coral-ringed islands, and wild mangrove creeks, I suddenly had the feeling that I’d just emerged from a gurgle in time and space. Having been completely isolated from the rest of the petroleum-frenzied, business-fixated, and politically fanatic world, needless to say I loved it. 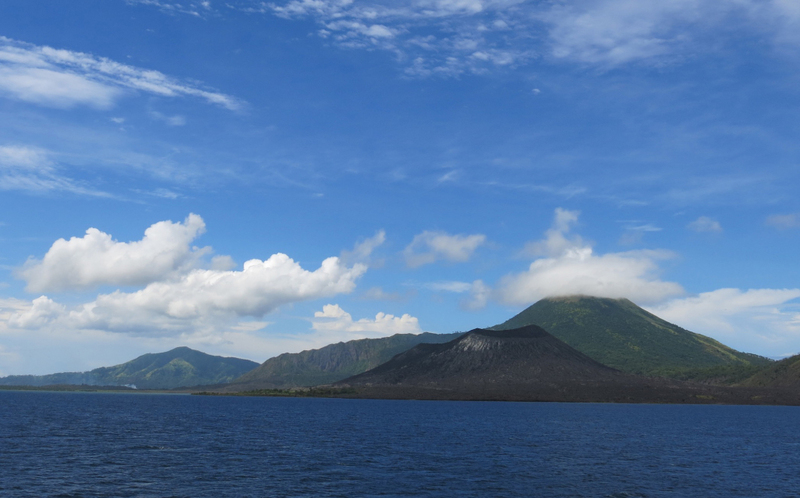 This volcano outside of Rabaul erupted not long ago, making headlines around the world. People everywhere we went were curious, welcoming, smiling their toothy grins and posing for photographs without hesitation. A small child introduced herself to me at one point and when I leant in to shake her hand, she grabbed mine with her small, delicate fingers, and then would not let go. We stood in the middle of a dirt road, locked in greeting with nothing but awkward smiles and shuffling feet between us, both reluctant to let the moment pass. 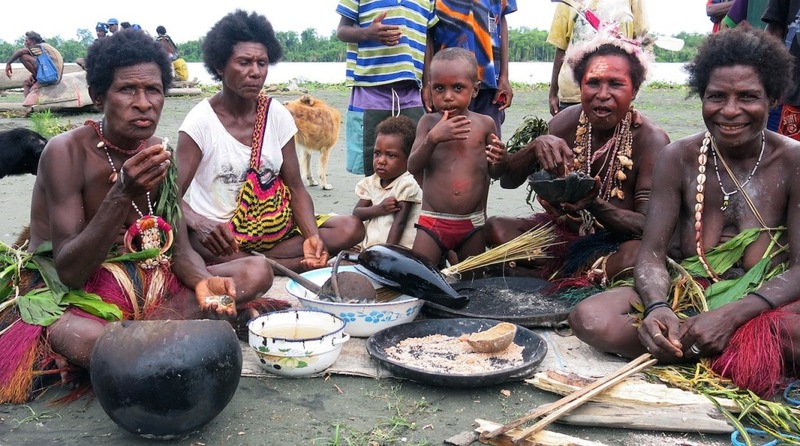 This family gathered to prepare lunch around a small pile of mangrove branches burning on the ground near the Sepik River. 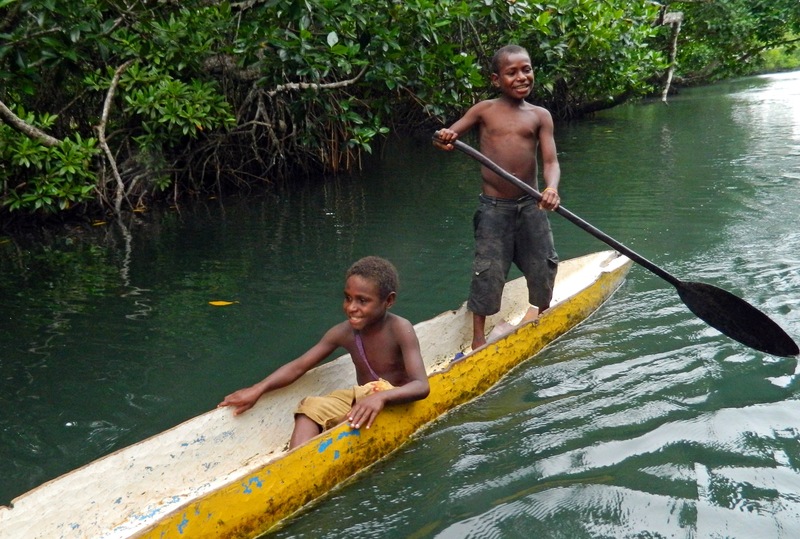 Driving a Zodiac along a riverbank near Madang, tribes of small, naked children would spot the boat and tear through the forest along the river to keep up with us as we looked for kingfishers and wading herons in the tangle of mangrove roots. 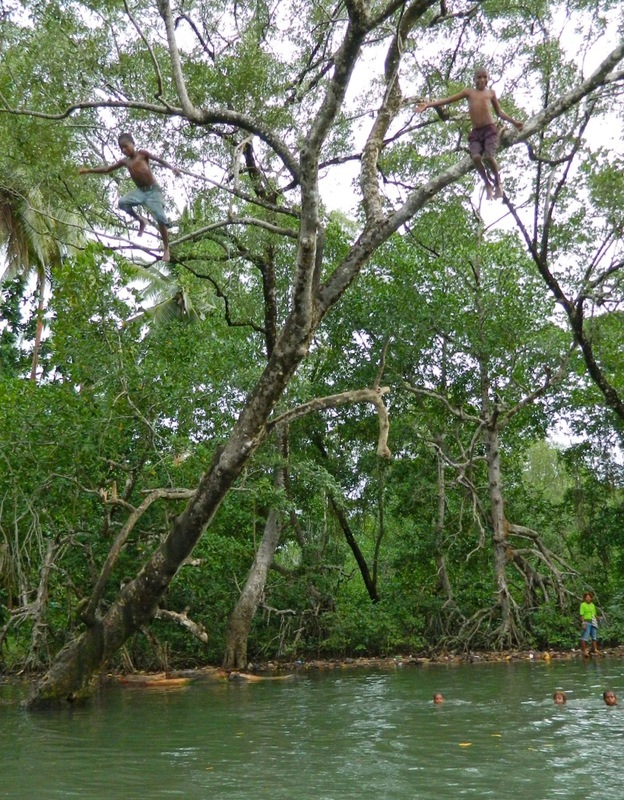 When the kids found appropriate trees to climb, with branches leaning out and over the river, they would scale the trunk and without hesitation, leap out of the tree’s arms and into the air, plunging into the dark tannin stained river waters, emerging with laughter and waves, beckoning us to join them in their merriment. 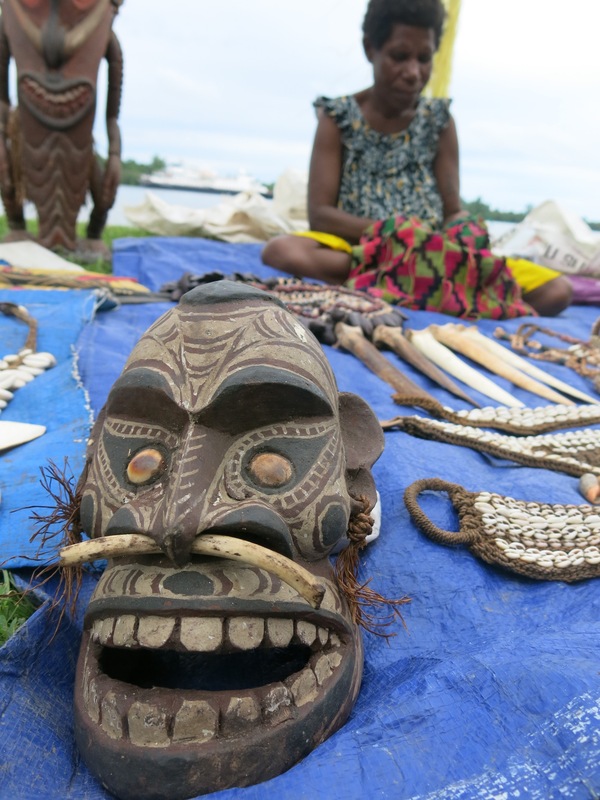 The carved masks, intricate totems, and elaborate shell decorations on display at every destination were a non-stop temptation. Each village offered up icons of their heritage and culture with distinct patterns, designs, and approaches to creating these ornate handicrafts. If I failed to buy something I liked right away with the scruffy “Kina” notes in my pocket, it was a guarantee that nothing similar would appear in any other market, or any other village. Craftsmen gather around their stall prepared to sell their intricately carved masks inlaid with shells and mother of pearl. 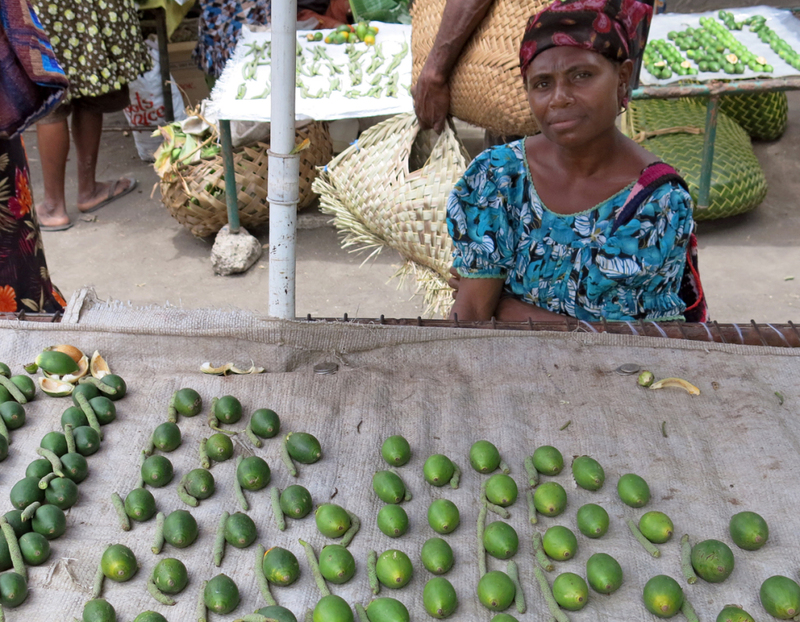 A lady sits at her market stall selling betel nut and the pepper pods that accompany. My suitcase was busting at the seams on the trip home with trinkets and presents from PNG. Upon landing back in the States I made it from the airport to the voting booth just before the polls closed on November 4, 2014. The warp in realities spanning half the globe from the forests of Papua New Guinea, to the beauty of late fall in New England, fuels my travels and leaves me wanting more. Carvings and necklaces on display and for sale. This entry was posted in Uncategorized on November 10, 2014 by admin.